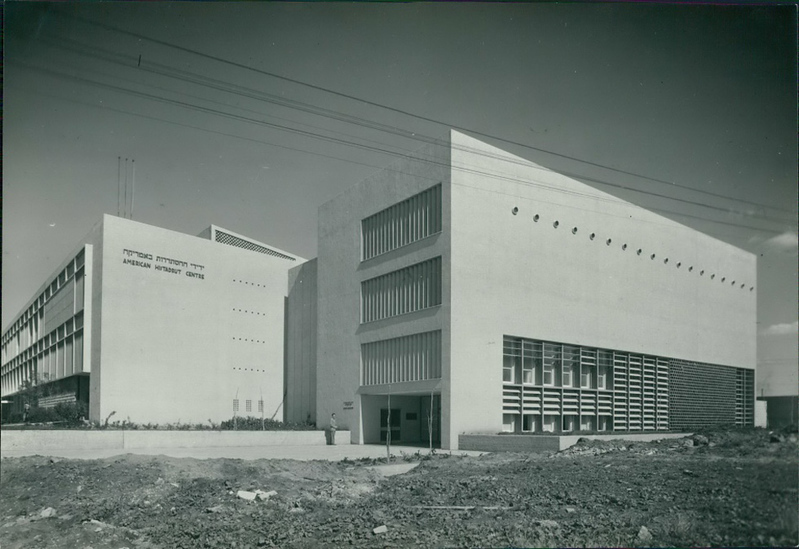 The Hemlin House, next to the Lessin House, was a Histadrut building sponsored by America jews led by Eisic Hemlin. It was located on Weitzan Street, next to the Lessin House. On February 19th, 2018 it was demolished after the lot was sold to a real-estate developer. A wall painting by Shalom Seba disappeared with the building, after being hidden behind a wall for forty years. An article in Haaretz in February 2014, announcing the decision to sell the lot, forecasting the demolition. An article in TheMarker in December 2016, describing the residential tower to be built on the lot. An article in XNet on February 19th, 2018, describing the demolition.